It had been nearly twenty-five years since Payton and Angelina Marko were married. 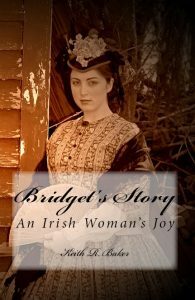 Two of their three sons and the sons of other villagers had marched off to War on “the Continent”, leaving behind many panting young females eager to marry and start families – much as their own mothers had done. 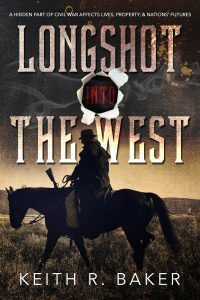 Quill Barbaros’ troubled family legacy would catch up with him almost as soon as he and his three comrades returned from the War and tried to settle back into the lives they had left behind. ‘War under the Olive Trees’ follows four friends who return home from World War II believing they were heroes only to find the people in their small Village of Majorca had moved on with their lives – especially the young women who had promised to wait for them. Quill Barbaros was the leader of the four returning friends but his family history – particularly that of his grandfather – made him somewhat of an outcast in the village. He wasn’t looking forward to returning to the quiet little Mediterranean village after seeing most of Europe during the War. In fact, he wasn’t even sure about what to do about the woman he had left behind. Mensa Galliano was considered the prettiest, most eligible young woman in the village, and she made it clear she was eagerly waiting for Quill’s return – at least that’s what Quill thought. There were other suitors beating down Mensa’s door hoping to cash in on Quill’s absence, and she was weakening. One of them, Tuco Marko who was the Olive plant manager and son of the richest family in Majorca had very aggressively staked his claim to Mensa’s hand and was not eager to give it up. The four friends’ return creates a volatile new mix in the village as they try to pick up the lives they left to go off to War – one they didn’t actually have to fight in to begin with. 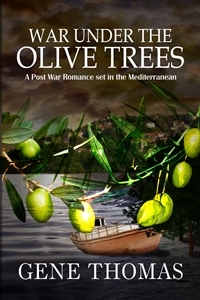 ‘War under the Olive Trees’ weaves a tale of love and deceit, class envy, murder and redemption all swirling around Quill and his friends. Quill’s escape to the sea to clear his head only adds to his confusion when he meets someone else who wants to enter his life for good.